Shallaki is considered to have anti inflammatory and analgesic properties. Supports functional benefits for Joint & Cartilage health. A Pure herbal powder for best results on the muscular system. Why Boswellia Serrata/ Shallaki Ayurvedic Medicine is the Best Bone & Joint Care Supplement? The botanical name of Shallaki is Boswellia serrata. Boswellia powder or Shallaki powder is excellent for bone and joint care. Boswellia serrata contains beta-sitosterol, boswellic acid, dipentene, ligin, resins, uronic acid, and tannins. This shallaki ayurvedic medicine may possess anti-inflammatory and analgesic properties due to which it may provide relief from swelling in joints, rheumatoid arthritis may support bone health and strength, proper cartilage and muscular functions. If you are looking for an ayurvedic supplement for bone and joint problems, Boswellia Serrata is a perfect solution. Moreover, it may also be effective in gastrointestinal disorders such as ulcerative colitis as it may fight the inflammation. Boswellia serrata powder may be useful in wound healing and may be beneficial in bruises and hemorrhage. Furthermore, it may be a good brain tonic as it may help in memory functions, epilepsy, and headaches. In Ayurveda, the shallaki powder is often used for skin wellness. It may promote skin health and may also protect skin tissues. Moreover, Boswellia powder may facilitate healthy cell care in the pancreas, breast and other organs due to which its importance in modern living is increasing. Where to Buy Boswellia Powder? / Where to Buy Shallaki Powder? Herbal Hills produces Boswellia serrata powder with the help of modern and highly advanced technologies. 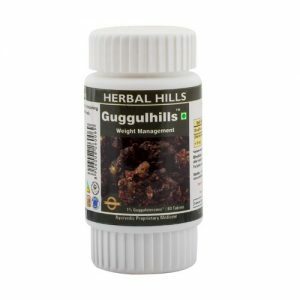 It is one of India’s leading and most trusted brands to buy shallaki ayurvedic medicine online. A team of experts, with decades of experience in Ayurveda, creates these herbs in the facility which has ISO, GMP, and Halal certifications. Wondering about where to buy boswellia powder? Don’t worry; buy it on Herbal Hills Prime. It is quick and reliable. Our products are completely herbal and without any harmful chemicals. You can take 3 gms of boswellia powder once or twice a day. However, we recommend that you consult with your physician for the exact boswellia dosage as it differs from person to person.